by giving back to patients and families at Packard Children’s. Honor a loved one. Remember a friend. Show thanks for a care provider. 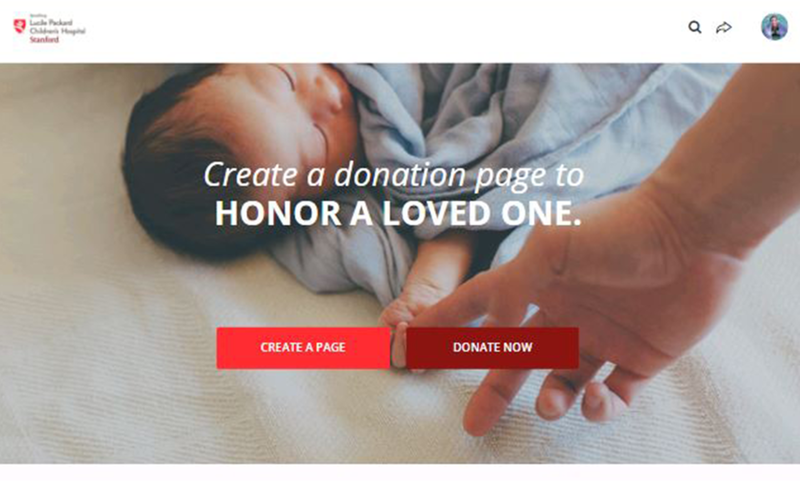 Personalized donation pages are a wonderful way to honor or remember someone special. Funds will benefit the pediatric or obstetric program you choose. Click here to begin. 1. Set up your honor page. Customize your page by selecting your area of support, and sharing your story and photos. Share your honor page link through e-mail or social media. 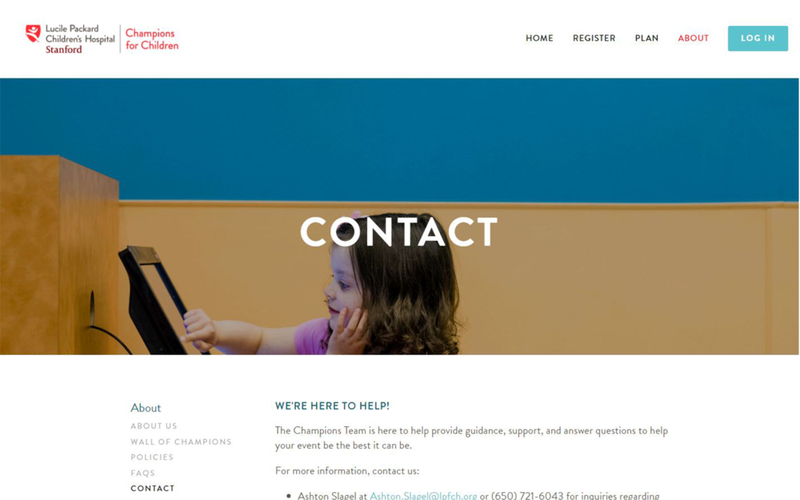 For questions or guidance on setting up a page, contact us at 650-721-6043 or Ashton.Slagel@lpfch.org. Contact us to share your story or start planning your project.